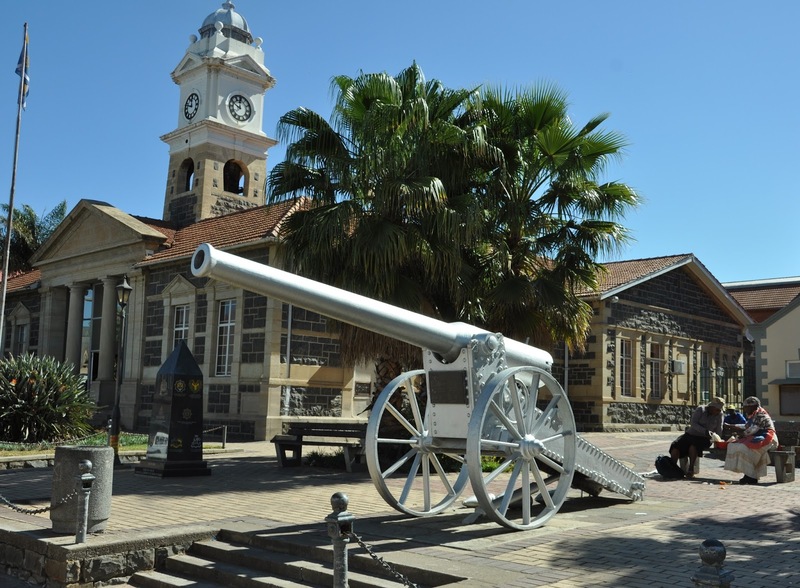 In 1900 the town of Ladysmith was an important communication hub straddling the main route from Durban to the Boer Republics. 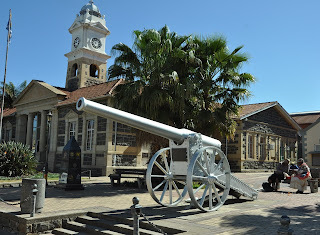 In November 1899 the town was put under siege by the Boers. Lieutenant General Sir Georg White and the 12,500 men under his command were eventually relieved in Feb 1900 but not before a number of failed relief attempts had cost the lives and reputations of many brave men. The Battle of Colenso in December 1899 was a failure which cost General Sir Redvers Buller his overall command. One month after Colenso, British confidence had begun to recover. Field Marshall Lord Roberts had taken overall command of the British forces in South Africa and the Ladysmith relief force had been reinforced by the addition of the 24,000 men of 5th division under General Sir Charles Warren. This time the Tugela was to be crossed some 18 miles upstream from Colenso. A set of strategically important hills occupied by the Boers were to be taken by two flanking forces. Warren's larger force would sweep left from Trichardt's Drift whilst a Brigade under General Neville Lyttelton would attack from the South in the direction of a hill called 'Twin Peaks' on the right of the Boer positions. The picture above shows a view towards the Tugela river and the British starting position. Notwithstanding Roberts' appointment as overall commander, Buller directed the British forces. He remained South of the river and communication with his two subordinates was often problematic. The body of water in the picture is a reservoir which was built relatively recently. On the night of the 23rd January Warren logged good progress. In particular Woodgate and Thorneycroft executed an uphill march to occupy what they thought was a commanding position on the plateau around Aloe Knoll on Spioenkop. 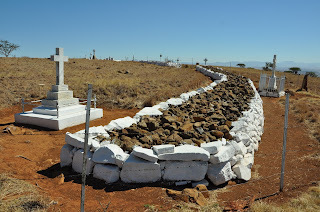 The Boer pickets were overrun and today it is possible to track the route taken by the attacking British force and to see the grave of the first Boer sentry encountered. Seeing the British on the hill spooked the Boers in the immediate vicinity and they moved off on the reverse slope to inform the Boer commander General Loius Botha of the British 'success'. However as the darkness of night was chased away by the rising sun on the next day the British positions were shown to be very poorly chosen. The barren top of Spioenkop was exposed to artillery fire from the nearby Tabanyama and Green Hills. In addition the batteries on Twin Peaks had not been neutralised by Lyttelton's Brigade. As Boer artillery and rifle fire began to build in intensity the situation on top of Spioenkop detioriated rapidly. Major General Woodgate was killed and there was a confusion as to who would take local command. Lieutenant Colonel Alexander Thorneycroft lead a charge to take a key ridge line but casualties grew as the Boer's concentrated their fire. Inexplicably, a seemingly successful assault on Twin peaks was a lost opportunity as forces were not consolidated on the summit. As casualties mounted the British reinforced the defenders on the Spioenkop plateau and more and more men succumbed to wounds, exhaustion and the heat. Casualties were treated in field hospitals on the reverse slope of the hill. It is at one of these that three great men were reputed to have been present during the period - Churchill as a newspaper correspondent, Botha as a military leader and Ghandi as a stretcher bearer. Today the summit is marked by numerous mass graves and individual memorials. 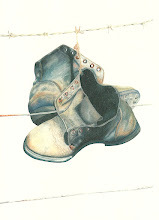 One of the most poignant is 'Lancashire Trench' and the pictures below show the horror of Spioenkop in graphic detail. 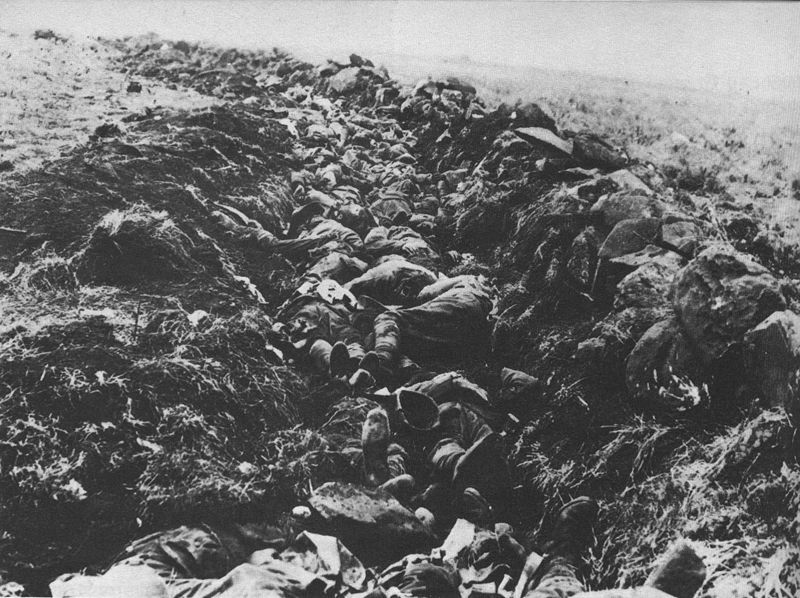 Eventually with both sides at breaking point, the British withdrew from Spioenkop under the cover of darkness. 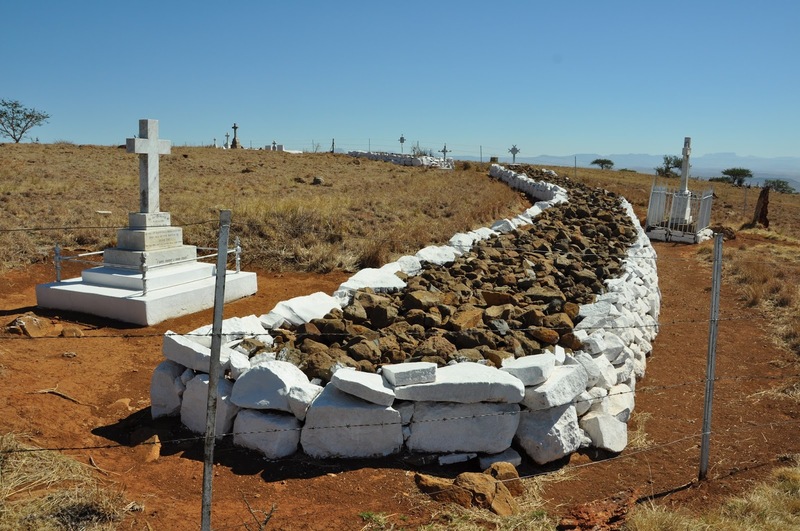 The next day the Boers found the summit empty apart from over 200 dead. Buller, meanwhile, had retreated back across the Tugela. The relief of Ladysmith would have to be achieved by other means.